A stylishly designed stone sanctuary that occupies an old hilltop village in Provence, Hotel Crillon Le Brave is a bucket-list worthy destination for any design tripper in search of organic, luxurious relaxation. Crillon Le Brave is perched above the Vaucluse Valley, offering views of vineyards and olive trees. This boutique hotel exemplifies the simple pleasures for which Provence is famous. The hotel, which occupies eight village buildings in a town that dates back 2,000 years, is ideally situated in the region - 25 miles from Avignon. You are within close proximity to the major sites of Provence, yet heavens away. We stayed three nights at this historic village property in the shoulder travel month of October (which means deals and no crowds), and I have been dreaming of returning ever since. Six months pregnant at the time, Hotel Crillon Le Brave delivered much needed pampering (one of the best masseuse ever), comfortable bedding and silky linens, deep soaking bathtubs, and breathtaking views of the Provence floor that can only be described as "relaxation at a higher level than yoga". Oh, and let's not forget, the seasonal, epicurean delights served in an ambient stone cellar or on the sun-bathed terrace. The staff was lovely, attentive and helpful in an informal way (no butler gloved hands lingering over your shoulder at this resort). As Provence is my vacation destination of choice (how couldn't it be with its beautiful, colorful, artistic landscape (just ask Van Gogh), gorge-worthy food, inspiring design and down-to-earth living? ), I am admittedly biased in this review. Shoulder Season: Provence virtually shuts down during the Winter and is a tourist zoo during the Summer. Traveling during the shoulder season, late September to October or April to May, not only avoids the crowds but also enables luxury accommodations at motel prices. 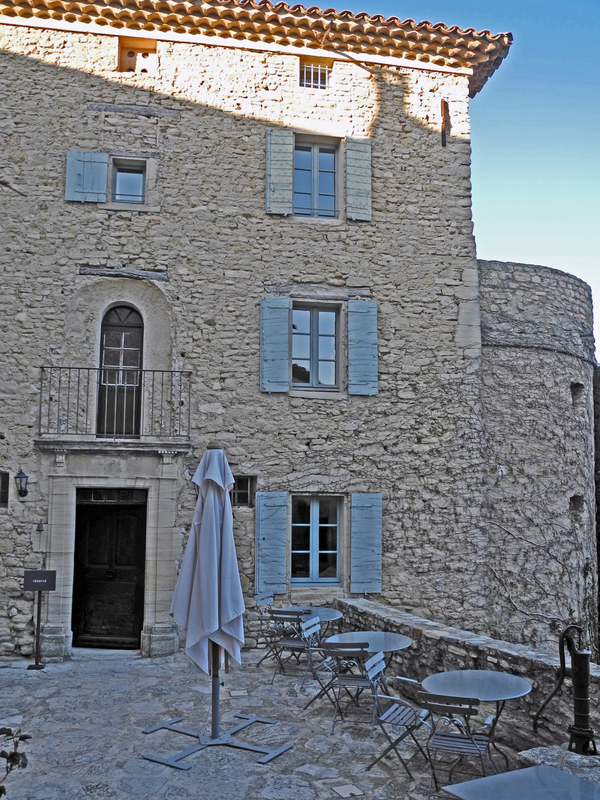 Call Hotel Crillon Le Brave in advance and ask if they have any specials - you'll be surprised by the offered discount! Brocantes: France is a treasure trove and a pilgrimage for flea market lovers. Avignon and nearly every other village holds a brocante (e.g., flea market) once a week. Ask the Hotel upon arrival and they should be able to provide you with a schedule of the neighboring markets. In April and October, large brocante festivals are usually held at select villages throughout Provence, the most famous of which are Barjarac and Isle-sur-la-Sorgue. Seeking Lavender: Lavender season is June to August, but this is also prime tourist season. The beauty of the rows of purple balls may just be worth the price and crowds.